What if the Philippine Military Didn’t Exist? A country is defined by many things – its people, its culture, geographical borders and natural resources, but what would our country be without its military? “We must never forget why we have, and why we need our military. Our armed forces exist solely to ensure our nation is safe, so that each and every one of us can sleep soundly at night, knowing we have ‘guardians at the gate.’” – Allen West. Today, the Republic of the Philippines stands strong, having good ties with many countries including strong nations like the United States of America. According to a global review of military forces, the country ranks 40th in the world (See: GlobalFirePower.com), ranking 6th strongest military in South East Asia, after Malaysia. The Philippine Military has around 220,000 active frontline personnel and 430,000 in reserve. So, what if, all of a sudden, it disappeared? Without a military to protect us, we would not stay united for long. It is most likely that we would be easily colonized by surrounding countries like China and Japan, and stronger nations such as the United States, and since we will not be a threat to any invaders. Because of its geographical position, the country holds fairly well economically. So why wouldn’t we be targeted by larger nations for trade and natural resource, to add to that? The Republic of Minerva fell after Congo recovered the disputed land. They didn’t have the military means to fight back. Thus, without our military, we can only imagine what will become of the Philippines. Our nation may inevitably become disputed territory itself. At present, there are only 23 nations without an active military. Unlike these 23 nations, the Philippines cannot afford to lose its own. According to Global Fire Power Staff Writer, “With a growing economy and lack of bordering neighbors, the main threat to the Philippines comes from within.” I quite agree. A lack of military force to sustain government may result in an uprising within its own people. 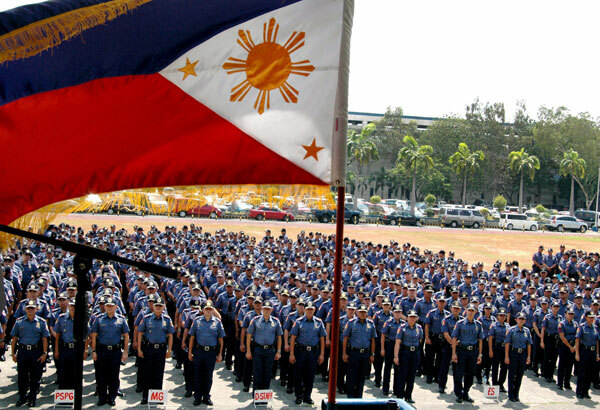 The Armed Forces of the Philippines, together with the Philippine National Police, are peacekeepers of this nation. Russel Neglia says, “No nation can call itself great without an efficient military.” (See: Why A Nation’s Military Is So Important) So whether from within the country or in the international playing field, we civilians have a lot to be thankful for. Our land, water and sky is kept safe by the Armed Forces of the Philippines (AFP) and the Philippine National Police (PNP) whose lives are dedicated to protecting us, just like those from the Special Action Force (SAF) who were part of the Mamasapano Expedition in January 2015 where 44 brave men died. The day of the encounter, our country suffered a great loss and we sympathized deeply with the families they left behind. In March, to commemorate these valiant men, UNTV: Your Public Service Channel launched the “Songs For Heroes Concert,” a project initiated by Bro. Eli Soriano of the Members Church of God International (MCGI) and Mr. Public Service Daniel Razon in coordination with the Philippine National Police and Armed Forces of the Philippines, which was held at the Araneta Coliseum in March. Over 6 Million in pesos was raised for the benefit of the bereaved families, but it doesn’t end there. Another benefit concert is promised and coming to fruition soon, proving time and again the Public Service advocacy of UNTV. 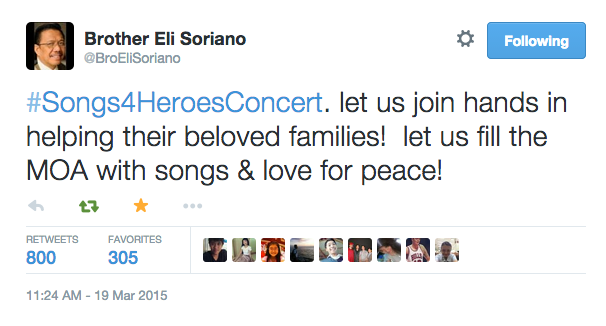 Together, let us look forward to and support “Songs For Heroes 2” which is aimed at assisting members of the SAF who were injured during the Mamasapano Maguindanao encounter. Earlier this year, 44 soldiers of the Special Action Force were killed by muslim rebels during a mission in Mamasapano, Mindanao. 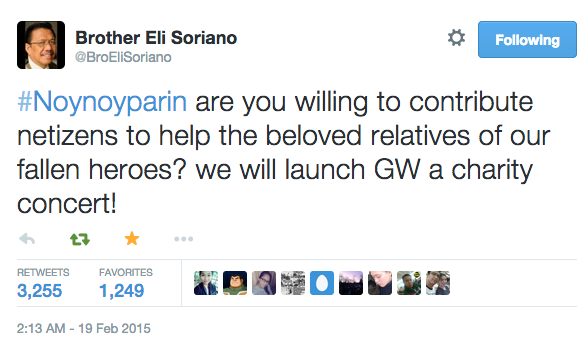 When Televangelist Brother Eliseo F. Soriano of the group Members Church of God International (MCGI) heard of this great casualty, he no sooner proposed that a Charity Concert be launched to commemorate the so-called Gallant 44, and provide help to the families they left behind. 1. Officers are tough-looking, protectors of society who can sing. In this heartwarming event, we were able to witness performances not only from renowned musical artists, bands and YouTube sensations, but from AFP and PNP’s very own. A notable performance by 3rd Class Officer Lorly Diatras with his rendition of the song “Go the Distance,” sung with the AFP Combo, was well-loved by the audience. The Philippine National Police’s very own Major Allan Cabanlong also sung the tear-jerking interpretation of “In My Life” together with the PNP Combo. 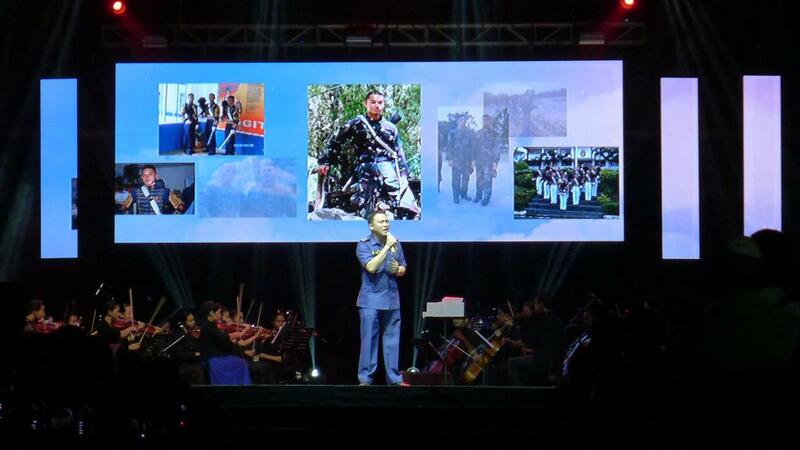 And the AFP and PNP Chorale in their uniforms were admirable as they sung the Nationa Anthem, standing alongside artists Jayson Fernandez, Miro Valera, Jeck Manuel and Mcoy, when they later performed the Medley songs “Salamat” and “Iisang Bangka” which emphasized how life may not always be a smooth-sailing voyage, and that true friends are needed during times of the rough waves. 2. You can bring the starry night sky to people who need them. All the performances were very heart-warming and tear-jerking. 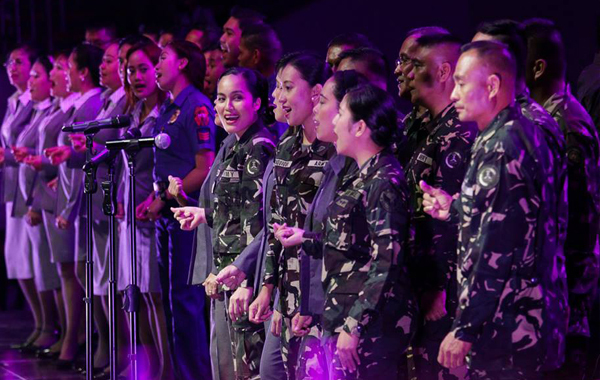 Some songs were about patriotism; others poked through hearts and made to reminisce the happiest moments of the families of the SAF 44 before their tragic deaths. Some in the audience were in tears as they listened to the duet performances of Faith Cuneta and Bo Cerrudo, performing the songs “Dakilang Lahi” and “Iisang Lahi.” The group 5th Gen performed “One Sweet Day” which, on a positive light, brought a message of hope that they would one day see their loved ones’ smiling faces again. You wouldn’t exactly be able to choose which performance stood out because all were lovely and special in their own way, with each performer really pouring their sympathies for the families. 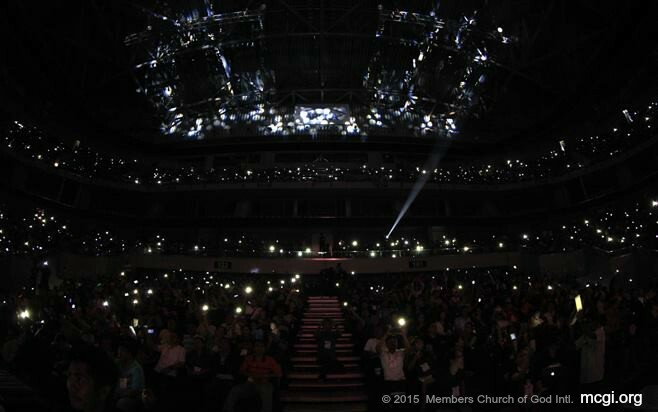 But when Noel Cabangon took the stage to perform “Kanlungan” and asked the audience to ‘light up’ their cell phones, it sent a beautiful message that I wished could’ve wipe the tears of the grieving family members. Because when there’s rain pour, it’s quite hard to see the beautiful stars in the night sky. These families were grieving, yes, but after the rain has passed and dark clouds lifted, it would be wonderful to see the countless stars that are perhaps willing to guide the way to a peaceful heart—reminding them that there are so many people who sympathize with them. And I learned that if you can’t be under the starry night sky because of the dark clouds, you can still light up the dark MOA Arena during a mesmerizing star-light performance. This brings me to my third point. 3. There are people who genuinely care. We admire your sincerity and believe that you also found it in your heart the sincerity of this event that was meant especially for you. Brother Eli Soriano also offered free scholarship at La Verdad Christian College Caloocan for the children of the Gallant 44, and thanked all those who supported and graced the event, acknowledging Atom Henares, president of the Progressive Broadcasting Corporation who so willingly donated an additional 500,000 php for the families. The outpouring love and support was plentiful. Being able to witness such an event take place for the benefit of these families, to help them in the process of grieving, letting them know that a lot of people cared enough about them and that they are not alone in seeking justice for their loved ones’ deaths, it was just such a worthwhile experience. Thanks be to God. May God bless us all. Kuya Daniel Razon, in agreement with Brother Eli Soriano, plans to make a second Benefit Concert dedicated to the other 77 injured SAF 44. Everybody is waiting for it to come to fruition.